The “Royster With The Oyster” 23rd Annual Oyster Festival and Tent Party started this Monday and continues through tomorrow at Shaw\’s Crab House. For anyone that likes oysters and a party, this is for you. There is an Oyster Hall of Fame Dinner tonight at 6:30pm. $79/person. 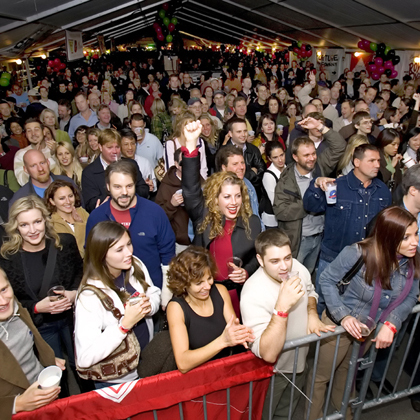 Friday Shaw’s hosts their Tent Party on Hubbard. There will of course be oysters but also other seafood on Shaw’s menu as well as live music. Live music starts at 3pm. Last but not least, The Oyster Slurping Contest. Or as Shaw’s calls it, “…Slurp-Off, is as simple as whoever slurps a dozen oysters the fastest, sans hands, wins.” That should be interesting to watch. Shaw’s Crab House: Fresh Seafood Events – Royster with the Oyster Festival.